"Partnerships with established suppliers in Germany and abroad are important to us"
Greater Hamburg has been the hub of the German fresh goods trade for many years. Big and small trading companies as well as service providers are offering tasty fresh goods from home and abroad with passion and joy. Elbegarten GmbH is one of the most important providers and, in addition to its headquarters in Glückstadt, operates a sales booth and a warehouse at Hamburg's wholesale market. The focus of the company are various vegetable crops, preferably from regional fields. Regionality is currently on everyone's lips, and that goes for Elbegarten as well. Regional products such as cucumbers and lettuces are marketed during the season under the Elbegarten label. 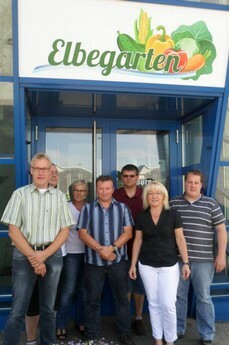 Herbs are now offered for a large part of the year from German production. "Here in the Hamburg area there are a few professional growers, also for edible flowers, of which we offer all variations." 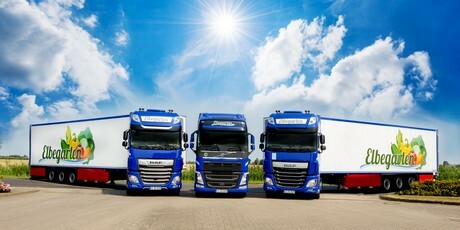 The company sees itself primarily as a service provider with vegetables as a main activity in northern Germany, but it also exports regional products to Holland and Scandinavia. "Depending on where demand is," comments Silke Hauschildt, Member of the Management Board. "We also deal with seasonal direct imports from all over southern Europe, as well as Poland and the Benelux." Despite the long-standing partnerships and successful direct imports, Elbegarten GmbH is partly dependent on third factors. "You have to take it as it is. We too are struggling with the cold in Italy and the ongoing strikes in France. You can never be complacent. Our advantage is that we work with a solid supplier base across the border." 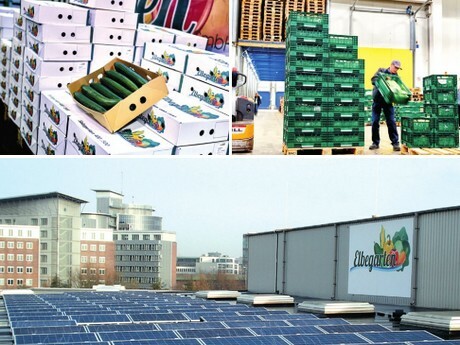 In 2013, the Elbegarten GmbH Fruit and Vegetable Marketing was founded and since then, the marketing of fruit and vegetables in Hamburg and Glückstadt. The shareholders - managing directors and the Elbegarten team have many years of industry experience, but young talents are also trained, to guarantee the success of the family business in the future. "Fortunately, we have a very broad base, not only supplying food retailers but the catering industry and ship chandlers as well. At the Hamburg wholesale market we offer the products to traders who pick up themselves." Since its founding in 2013, the corporate philosophy of Elbegarten GmbH has been clearly defined by sustainability in terms of regionality and quality of individual products. For this reason, investments are regularly made in energy-efficient and environmentally friendly technology. A highly efficient photovoltaic system will be used to power the cooling systems.